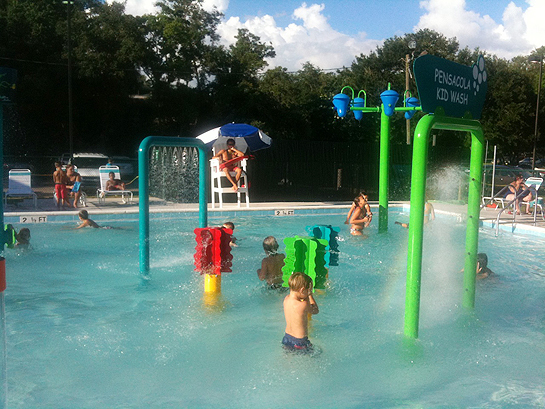 Roger Scott Pool is open 7 days a week for 2014! 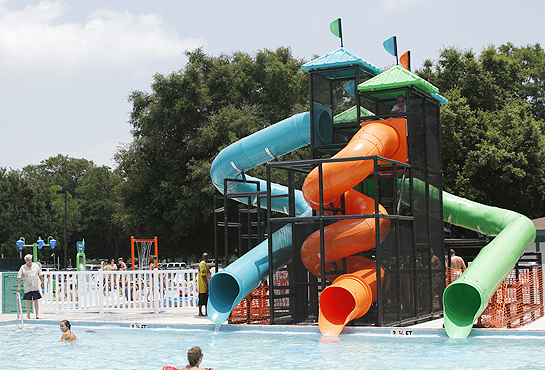 Parents, get ready to let your child slide down the new water slide at the Roger Scott Pool and splash in the new zero depth entry pool too! 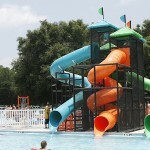 The newly improved Roger Scott Swimming Pool has something fun to offer every member of your family. The pool will be open Monday through Sunday. Session 1: 9:00 a.m. – 12:00 p.m. Session 2: 12:30 p.m. – 3:00 p.m. Session 3: 4:00 p.m. – 7:00 p.m. Session 1 10:00 a.m. – 2:00 p.m. Session 2 2:30 p.m. – 7:00 p.m. Session 1 12:00 p.m. – 3:00 p.m. The pool will be closed to the public for a half hour in between each session. The cost for each session will be $4.00 per adult, $3.00 per child and free to children 2 and under. 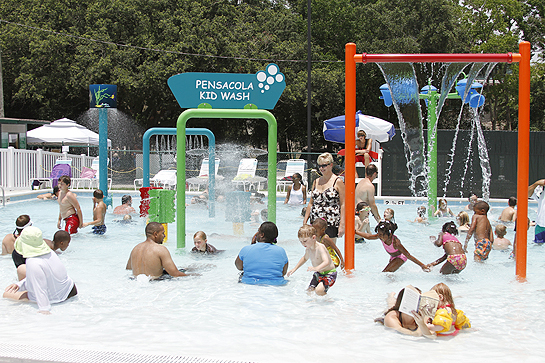 Looking for other places to cool off on a hot summer day? Hi Dawn, there are lanes for swimming at the Roger Scott Pool. We’ve listed their contact information above if you need to find out more. I was wondering if there are life jackets for people to use or do you need to bring your own? Drive nearly 1 hr and 1/2 away only to come find out the park is closed for the season!!! This should be on the website! Thanks for chuck e cheese’s we still found a pleasant day! There was 8 of us so a little bit of money to be had! To bad yal were closed up unannounced! Hey Kelly, sorry about that. We’ve added a note the pool is closed for the 2012 season.